Super job @ATXStinger! Posting to other groups as the official flyer. Will try to get some printed to put in Kia dealership showrooms around Houston/suburbs. Thanks for doing this! PLEASE NOTE that we've had to change the date of the event to Nov 10th. 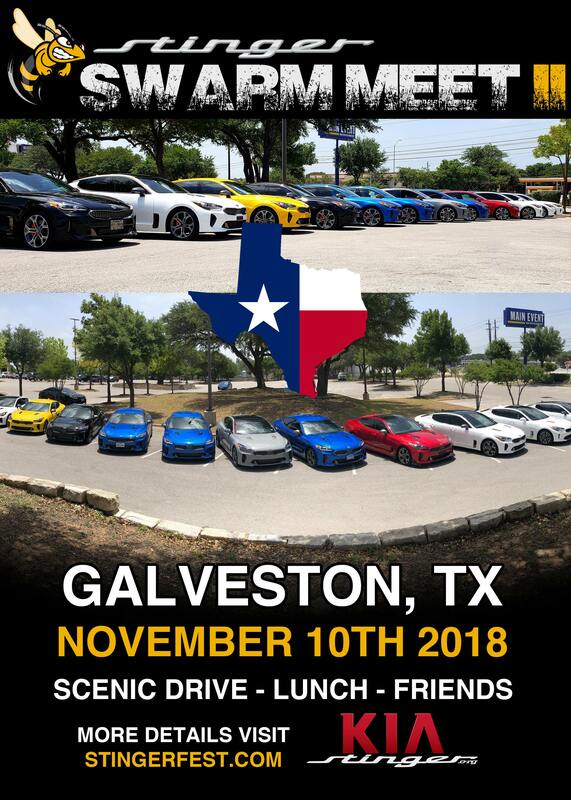 There is a huge conflict for that weekend in Galveston- pricing and availability of hotels/restaurant is compromised due to a huge Motorcycle rally on the Island the 3rd. Hopefully this doesn't make it too hard to change in your schedule- we're 3 months out. flyer has been removed form the first post.